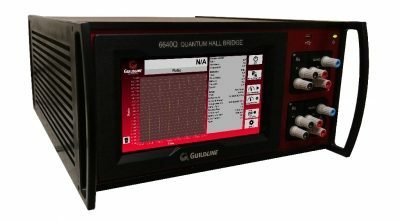 Guildline’s 6624CT provides very accurate DC Current measurements up to 3,000A. 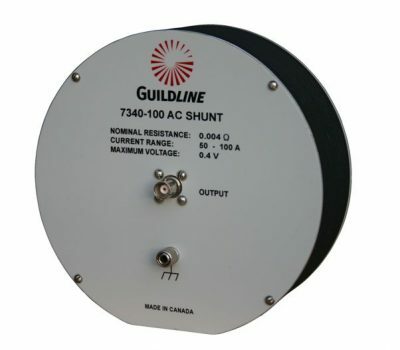 It is designed with an open window to pass cables or a busbar through carrying the DC current to be measured. The 6624CT-3000 high DC current transformer produces and output current that varies directly with the input current in three ranges. 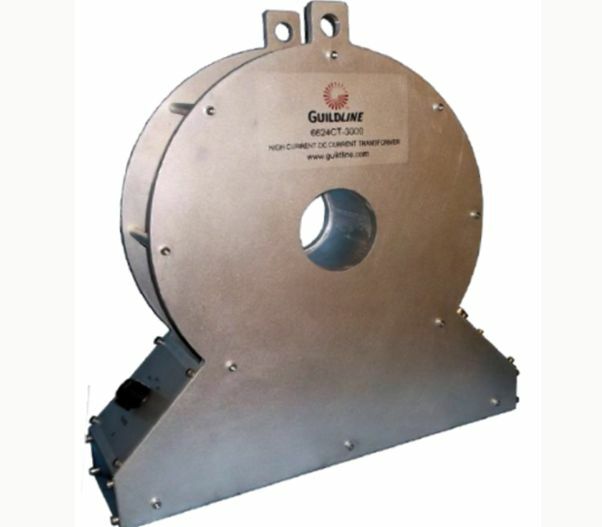 Guildline's 6624CT-3000 High Current DC Transformer provides very accurate DC current measurements up to 3000 Amperes. The direct current transformer is designed with an open window to pass a single cable, set of cables, or busbar that carry the direct current to be measured. The 6624CT-3000 High Current DC Current Transformer produces an output current that varies directly with the input current in three ranges. Switch selectable secondary windings provide transformation ratios of 100:1, 500:1, and 1,000:1; and allows for measurements to be performed up to a maximum of 3000 Amperes. 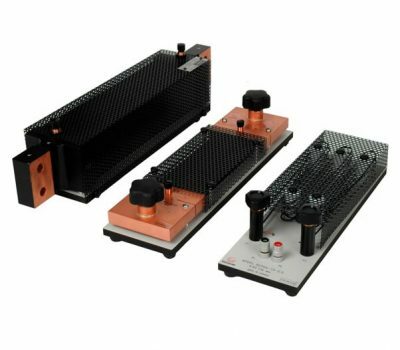 The full scale output range of 3 Amperes is provided at a pair of binding post terminals on the front panel of the control chassis. 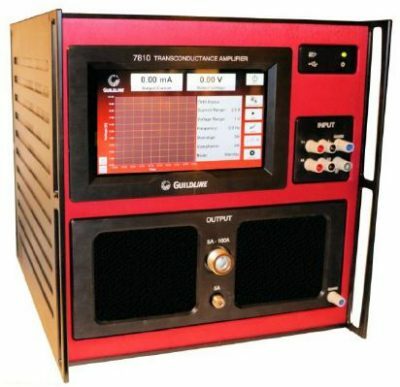 Three primary current ranges are provided:300 A, 1500 A, and 3000 A full scale. A second pair of binding post terminals is provided which provides an additional 20:1 reduction in the secondary current such that a full-scale output of 0.15 A is available for each primary range. We aim to exceed your expectations and provide solutions which add value to your business and make you more profitable. Our approach is simple yet effective; working with you to ensure that our solutions meet your requirements, perfectly. To ensure longevity of your instrument, contact our service department for a quote. We supply a comprehensive range of parts and accessories, to support the products we supply. Maintain precision and accuracy of your instrument with our calibration team. Please enter your name and email address to receive a link to download this document.